India is creating infrastructure and deploying a large number of troops on its side of the border at the disputed area in the Himalayas, China's foreign ministry has said, adding, that New Delhi’s actions indicate it’s not interested in a peaceful resolution of the standoff. The impasse between the neighbors and BRICS (Brazil, Russia, India, China and South Africa) partners began on June 18, when Indian troops were sent to the strategic Doklam valley, which separates India from Bhutan. New Delhi said the move was necessary to curb Chinese road construction on the Himalayan plateau, which, according to the India, violates the status quo. Beijing, which views Doklam – or as it calls it ‘Donglang’ – a part of Chinese territory, has accused India of breaching an internationally recognized border. “Over one month has passed since the outbreak of the incident. 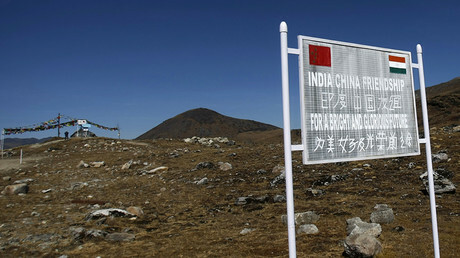 The Indian border troops still illegally stay in the Chinese territory. Moreover, the Indian side is building roads, hoarding supplies and deploying a large number of armed forces on the Indian side of the boundary,” Geng Shuang, the Chinese foreign ministry spokesman said. “This is by no means for peace,” Geng emphasized as cited by China's Xinhua news agency. The spokesman provided several other arguments, which, according to Beijing, prove that India is looking to escalate the situation in Doklam. “China had notified the Indian side about the road works through the border meeting mechanism on May 18 and June 8 and the Indian side did not make any response,” he said. — RT (@RT_com) 2 августа 2017 г. The Indian Minister for External Affairs, Sushma Swaraj, said Thursday that New Delhi was committed to solving the crisis at the negotiating table. “War is never the solution to a dispute. Wisdom is to resolve issues diplomatically. We're not only negotiating over Doklam, but discussing bilateral relations with China as well. This is the only solution,” Swaraj said as cited by The Times of India. “If the Indian side truly cherishes peace, what it should do is to immediately pull back the trespassing border troops to the Indian side of the boundary,” he said. Some 48 Indian troops – out of 270 who entered Doklam on June 18 – remain in the disputed area, Geng said, adding, there’s also large concentration of Indian forces on its side of the border. However, the Times of India newspaper claimed that 400 Indian soldiers were deployed to Doklam and none of them have left. 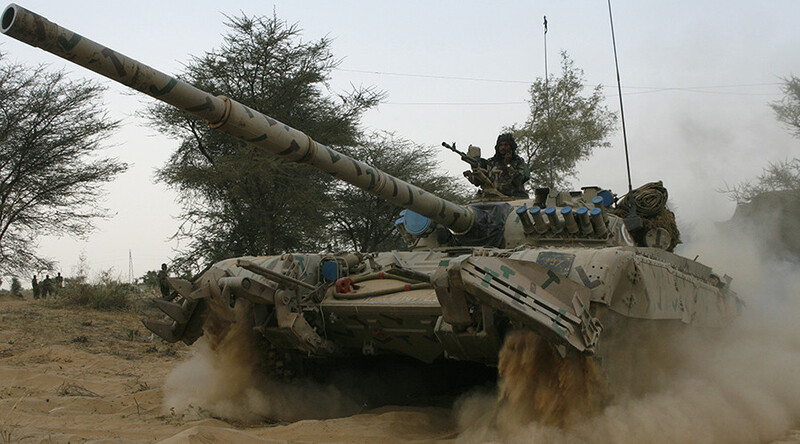 The paper further reports that the Indian military currently has around 8,500 servicemen deployed on its side of the border just outside the disputed area.